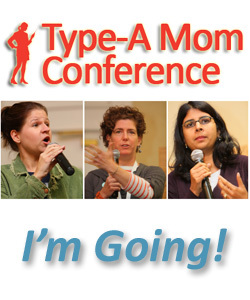 Type-A Mom: here I Come! I Found out last night that I was blessed with tickets to attend the awesome Type-A Mom Conference! I thank God for this awesome opportunity, as well as the person who was so generous to allow me this opportunity. Thank you Janis. I pray that you will be blessed in every way for planting this seed in my life. July 20, 2005 was the first time I published a post here. I had no clue there were such things are blog conferences. I simply enjoyed writing and wanted to share my journey with you. What a ride it has been. Life has changed much since that summer. My love for writing, learning and connecting with people has stayed the same. 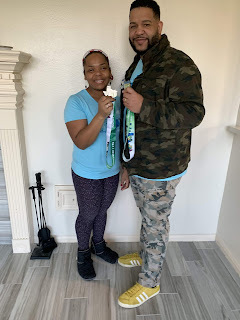 Type-A Mom will be a great chance of learning, connecting and honestly, I believe God will allow me to see a world of new possibilities I didn't know existed through the things I will learn. So I'm packing and getting ready to go. What will I take? An open mind and an open heart. Let the journey begin! Oh, and please continue to Vote 4 Hope! • Will I meet you there fellow blogger? Give me a shout out! Good morning, happy Sunday! I am your newest follower coming from one of the hops today. Hi! Following from Pink Dandy...would love to have you follow back! I am here for the Sunday blog hops and am following you via google reader. I hope to see you at Dropped Stitches. Lovely blog!! Thanks for stopping by my blog hop. Have a great week!